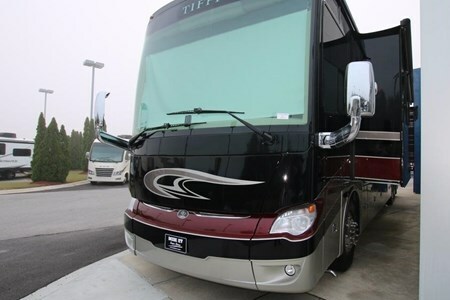 49ft Tiffin Motorhomes with two Slide Outs Want to experience the joys of diesel pusher luxury and travel? Looking for class and length? Well, check out this 49ft. 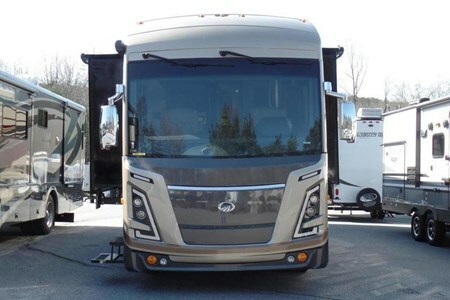 2 slide Tiffin Motorhomes. ... moreIt’s perfect for those looking to upgrade from the gas motorhomes for the first time. This unit has a great floor plan, a great bedroom, full kitchen, and bathroom, it has everything from TV’s in the front living area and back bedroom, surround sound, DVD players in front. and so much more. Come check it out in person or just book it online today! 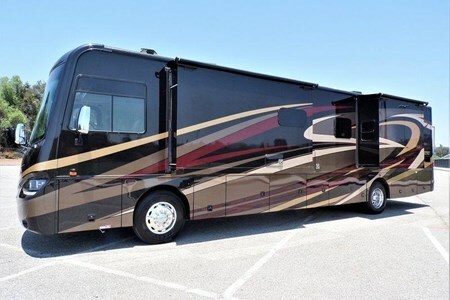 Travel comfortably with family and friends enjoying a great time on your next road trip with this Leprechaun 280BH as your home base. This unit easily sleeps 8 with the use of the sofa and power salon style bunk that drops down over the dinette and sofa. There is also comfortable sleeping in the rear private bedroom featuring a queen bed slide out as well as up on the 57" x 95" over cab bunk. This makes it easy for your larger family to be comfortable, or the kids can bring along a friend or two. When it comes to relaxing there is plenty of seating for everyone inside, and an outdoor entertainment center allows you to enjoy even television watching outside. Each Leprechaun class C motorhome offers you "better stuff." The "better stuff" that you deserve while traveling. Better construction, better interior appointments, and better safety features and conveniences. 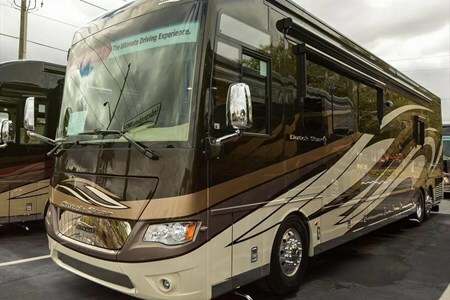 From steel framed floors, Azdel sidewalls, and a crowned laminated TPO roof to a residentially sized microwave oven and a full bath the Leprechaun is ready for any get-a-way whether just a day trip sightseeing or an extended week or more of travel fun! Beautiful, Private, quiet, flat ,shaded 50 Ft. X 130 Ft. City/Lakeview Lot. 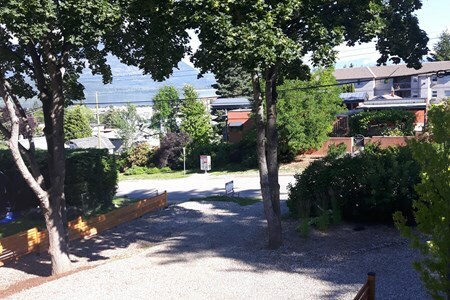 Located in the heart of Salmon Arm BC , Canada.. 10-15 min. Walk to all City Ameneties in the Downtown Core. ... more, including our beautiful Waterfront & Foreshore Trail. 30 AMP Service and Water included. Free Sani-Dump Station just 5 minutes away. This Bareland Lot is adjacent to our Residence. As active Baby Boomers/RVers we can share so much information on all the Outdoor activities the Shuswaps is famous for. Hiking, Biking, Boating, Kayaking , Golf , Salmon Runs, First Nations Culture, Wine tasting, Music Venues , etc.,. Access to Firepit when allowed in season. 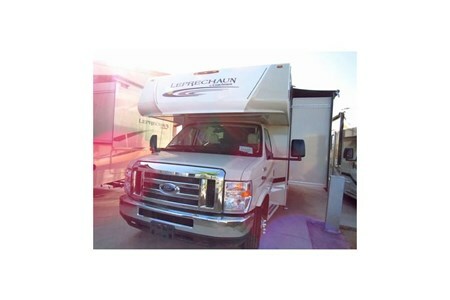 Our Site caters to quiet, active Couples only ,travelling in their RV.